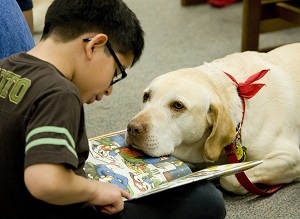 Sign up now to read to Buddy, a trained Good Dog therapy dog. Dogs are fun to read to, and they love a good story! Read five times and you'll get a prize!